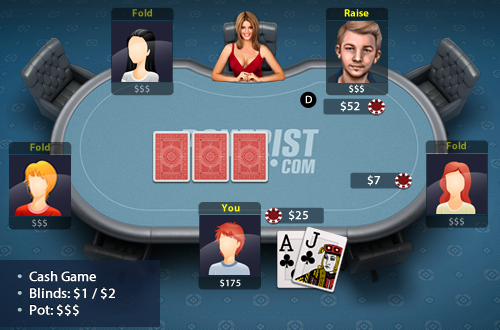 You’re playing a $1/$2 NL cash game with $200, seated in the big blind, you were dealt AJ suited. The table folds to the button, they raise to $7, the small blind calls the $7, you 3 bet to $25, the button 4 bets to $52. He has been playing passively throughout your session.